If you are subscribed to AVDC’s garden waste collection service, please also present your brown garden waste bin by 6.30am on your revised collection date. 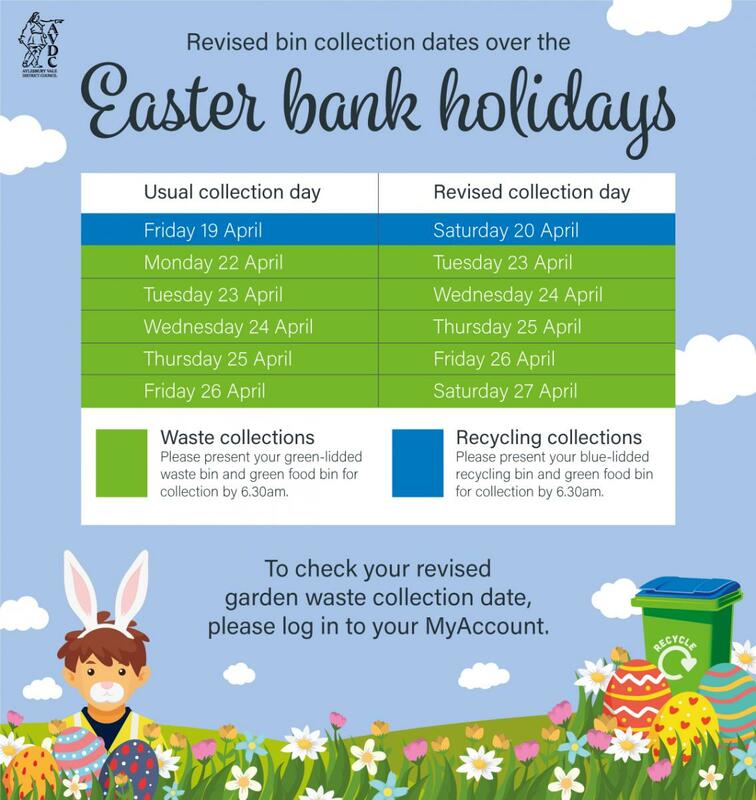 To check your garden waste collection date, please log in to your MyAccount. From here select ‘My Services’ and then, under the Recycling and Waste heading, select ‘Find your Bin Days’.